We often speak to customers regarding their desire to move to Office 365 and the conversation usually starts around moving their email from on premise to the cloud. Whilst there are business and operational benefits to moving your email to the cloud alone there is little benefit where it really matters to user productivity. However, by moving your email you are only just scratching the surface to the true benefits of implementing an Office 365 strategy for your business. At the heart of the Office 365 suite of applications is the ability to be able to introduce true flexibility to your workforce and allow your workforce to collaborate with greater ease in a number of different ways. In this blog post we are going to examine some of the areas where implementing Office 365 with the correct business and education strategy can help your users become more productive. Get your work done on your favourite devices Get your familiar Office experience across devices—Windows, iOS, or Android—with Office 365 and Office Online. 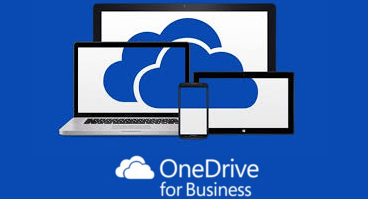 Your latest files, always ready, anywhere Easily access and work on your latest files with OneDrive for Business in Office 365. Access the latest customer data with Microsoft Dynamics CRM Online. Easy remote access to business resources Access business applications hosted in the cloud—like CRM, finance, or HR apps—on any device using Azure RemoteApp. A device for every need and budget Exciting new touch-enabled Windows 10 PCs and devices, including Surface, Lumia, and a range of other brands. Modern devices with no learning curve Windows 7 users get up to speed quickly with a familiar experience in Windows 10. A seamless mobile experience Windows 10 Continuum transforms “on the fly” between tablet and laptop mode. Touch-optimized Office apps Built for touch, Office Mobile apps are designed to work great with Windows 10 devices. Meet online from anywhere Schedule meetings with Office 365 and connect in real-time with online video conferencing using Skype for Business. Edit documents as a team in real-time Work together simultaneously to revise documents, using Office Online in a browser or with Office desktop apps. Easily share data and insights Stay “in the know,” with consistent, interactive dashboards and reports using Power BI on mobile devices. Stay in touch with your team Easily create private social networks using Yammer to stay connected and make faster, better-informed decisions..
Get easy protection and control of all your PCs, mobile devices, and apps Easily get control of personal and company-issued mobile devices with tools built into Office 365, Windows 10, and Enterprise Mobility Suite (EMS). Give employees easier, more secure access to everything they need Provide employees a simpler, more consistent way to access all their applications, websites, and devices with a single sign-on using Enterprise Mobility Suite (EMS). Get protection that travels with your business data Easily attach encryption and rights management rules to business data to help prevent unauthorized access and use with Enterprise Mobility Suite (EMS) and Enterprise Data Protection in Windows 10. Over the coming weeks and months, we are going to dig into some of these features and their benefits to your users in more detail. In the meantime if you would like a personalised demonstration of how Office 365 could help your business, let us know. We will be covering all of these topics and more at our Microsoft event this April. Register Now!